Mica Powder in various forms is obtained by grinding/ breaking mica scrap, which is a slow, costly and extremely complicated process, because of the scrap being tough and having a plate like structure. We take meticulous care and precaution that there is no deterioration in its natural brilliance, color and properties. Our factories for processing varieties of mica powder & are fully equipped with latest pulverizers. We produce a varied range of natural mica powder, from 20 Mesh to 400 Mesh & below. There are basically two qualities of mica powder - Super White & Normal White, which is classified based on their color & brightness. 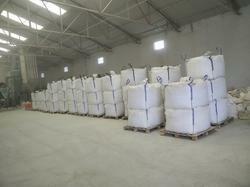 We have an expertise in producing 100%, 100 Mesh pass Mica Powder. Packing: The packing can be done in Jumbo bags as well as small HDPE bags. Option of pallets are also available in case of Jumbo Bags. Natural Mica Powder is made from selected grade of mica. While processing and manufacturing, the raw material is dried to get rid of any moisture and then screened to remove dust. After that all foreign particles like biotite, quartz, straw, bamboo (organic and inorganic material) are removed manually by hand picking process. 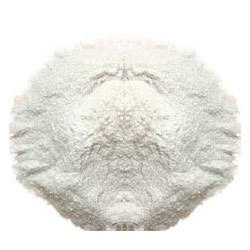 Thus the impurity free raw material is trodden in pulverizer and screened properly to get the desired Mesh size (generally below 30 Mesh) of natural mica powder. Used In: It is used in welding electrodes, cables and wires, foundry works, texture paints, acoustical plaster, ceiling tiles, plastics, oil drilling wells etc.